Ludisia discolor really is an orchid, although if you see it with no flowers, or without a label, you could be forgiven for thinking it wasn’t. Assuming it isn’t an orchid is very understandable, as it grows in soil, unlike most orchids, it appears to have a main stem, unlike the majority of orchids, and its often sold when it’s not in flower, unlike nearly all orchids (from a garden center, at least). 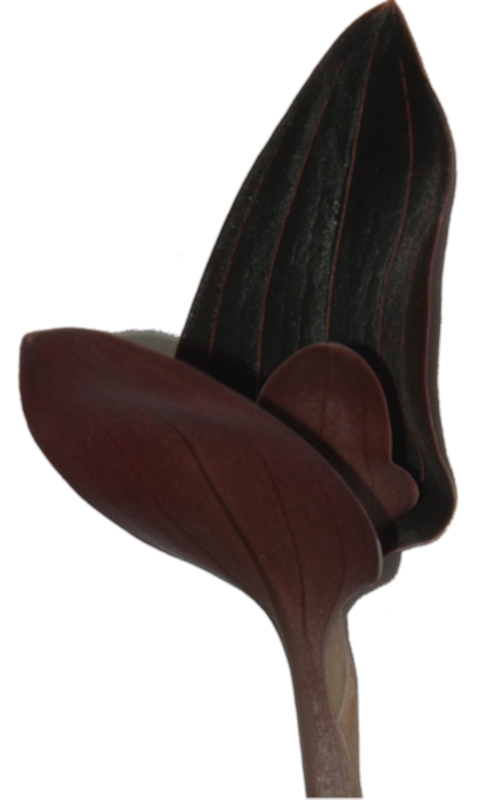 What it does have are large brown leaves, with beige veins, which are unlike any other orchids, and unusual compared to any other houseplant. At the size it’s normally found for sale, it is much the same size as any other houseplant. With large, flat, slightly thick brown leaves, which appear to almost be spirally arranged, and with veins that could lead you to assuming it was a dicotyledonous plant, it is very easy to be fooled into thinking it is not an orchid. 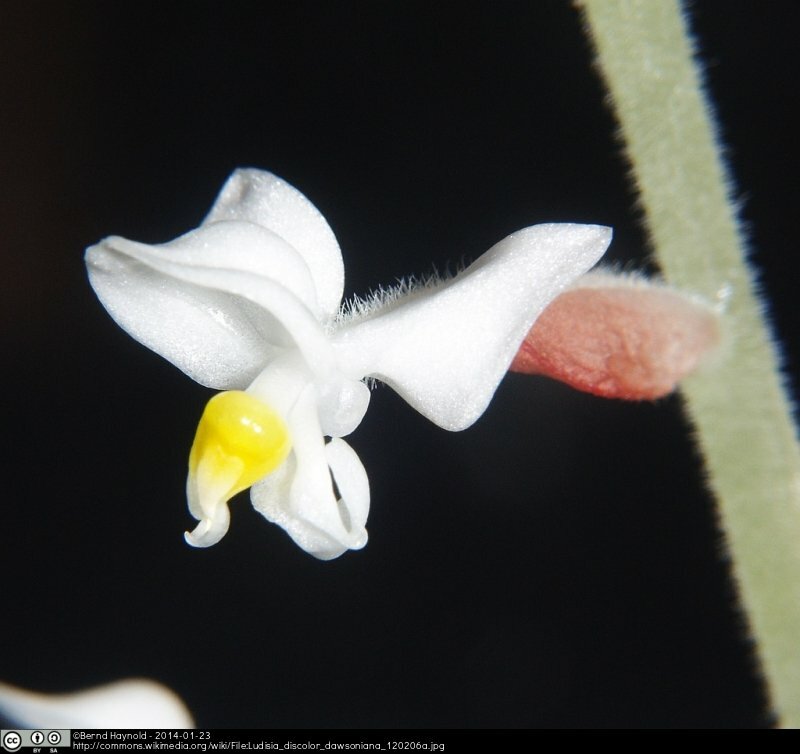 However, when you see the flowers, which are small, and white with a central yellow patch, its becomes clear that it is an orchid, thanks to the very familiar flower arrangement of 3 sepals, 2 petals, one modified lip, and a column in the centre (Heywood et al, 20071, Hessayon, 20102, and many others). These flowers are not very long lived, compared to other orchid species, with a 2 week display being considered a decent length (Hessayon, 2010)3. There is a fairly small specimen of this species in the tropical greenhouse, and when it arrived, it was looking somewhat unhappy. It has moved around the greenhouse a little, to try and find a spot where it could be happy, and has settled down amongst other orchids. Given some time, it should start to perk up, as the slightly cooler regions of the tropical greenhouse are very good for L.discolor. Its best growing conditions are intermediate to warm conditions, with middle to high humidity. 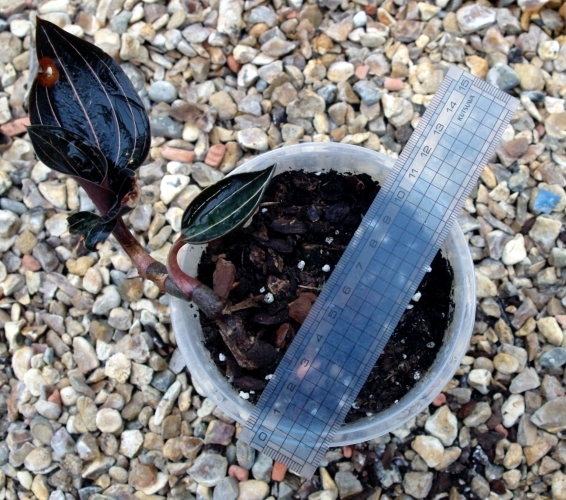 In non-orchid growing terms, this means a temperature range of between 18-29OC will be tolerated, with the ideal being around 20-23OC, and a humidity level that can be achieved by putting the pot on a gravel tray for L.discolor specifically, up to humidity conditions that can be maintained in either a greenhouse or a terrarium for related species (Hessayon, 2010)4. Ludisia are, perhaps unsurprisingly, ground growing orchids, and have a very large range, from India to Indonesia (Hessayon, 2010)5. In the wild they are found in high humidity shaded areas of evergreen forests (ISOPE, 2014)6. Ludisia, the genus, only has the one species L.discolor. There are, however, a couple of other varieties, including an alba version, which, given the green colour of the leaves, could be assumed to be the normal version of this species. The name of both the genus and the species has changed quite often, for example The Plant List (2014)7 lists 34 separate names, with ‘Ludisia discolor (Ker Gawl.) A.Rich’ being the full accepted name, and lists the WCSP as the source of this data. The WCSP, as of 2014, lists the name as originating from 1825, with the original name produced by John Bellenden Ker Gawler, and with a modification by Achille Richard being the currently accepted name. The WCSP also lists that the name was only accepted as late as 2003, by R.Govaerts, on behalf of the Royal Botanic Gardens, Kew8. This entry was posted in Monocots, Species, Students and tagged houseplant, Ludisia discolor, Orchid, Orchidaceae. Bookmark the permalink.